Getting a tattoo is a notoriously painful process but that doesn’t stop all that many people from getting their skin inked. A needle can have three ends or as many as 25. 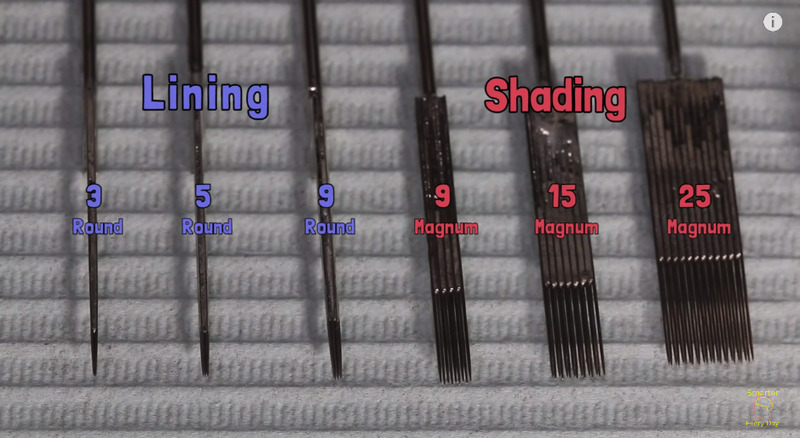 Each type of needle can achieve different effects. 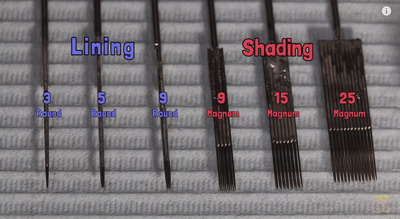 Needles with fewer ends are used for outlining, while needles with more ends can be used for shading or colouring. 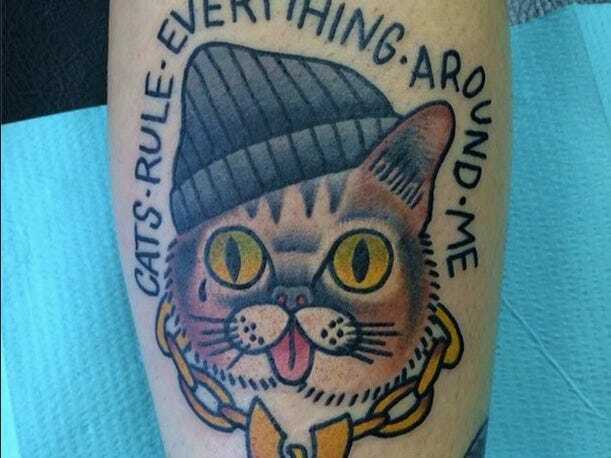 Tattoo artist Leah Farrow told Smarter Every Day that the two most common machines are the rotary and the coil. The two different machines work differently but do essentially the same thing — moving the needle. The rotary machine’s motor moves a rotating circular bar, which moves the needle up and down. The now magnetized coil pulls down the metal arm that’s attached to the needle, which pushes the needle out. But as the metal arm touches the coil, another thin piece of metal loses contact with a circuit screw, breaking the current and causing the coil to lose its electromagnetic force. It wouldn’t do much good to distribute the ink just on the epidermis because these outer skin cells are continually dying and sloughing off. The tattoo would disappear in just a few weeks. 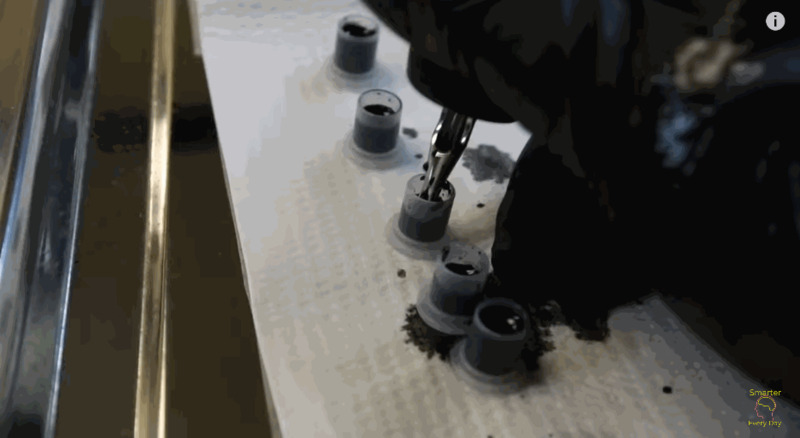 For tattoos to last a whole person’s life, the machines have to pack enough punch to get the ink down into the dermis, the tissue just below the outer epidermis. 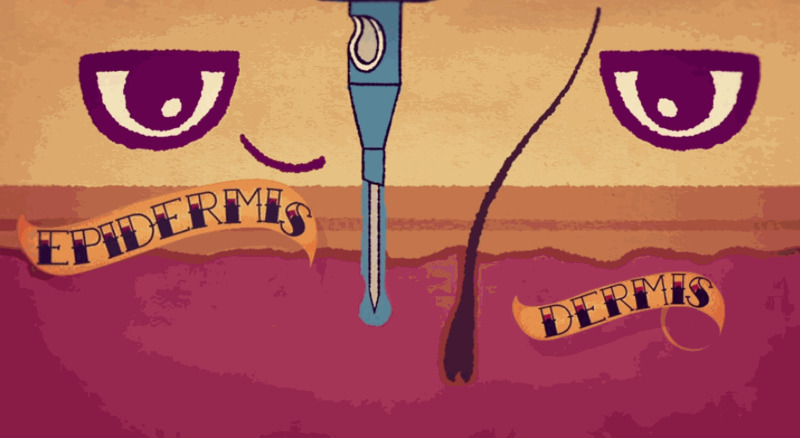 This dermis is “composed of collagen fibres, nerves, glands, blood vessels, and more,” according to the video. 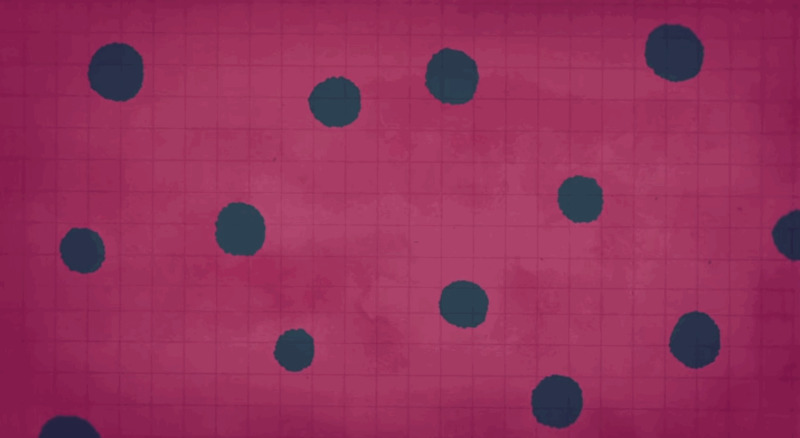 Some large ink particles are dispersed in the “gel-like matrix of the dermis,” and others will be gobbled up by fibroblasts, a type of dermal cell that plays an important part in healing wounds. 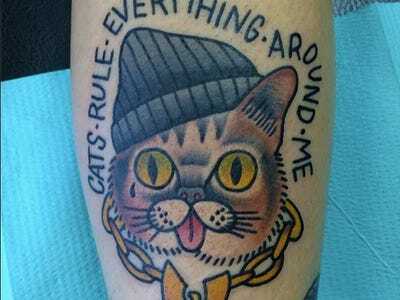 Because tattooing is essentially making thousands of tiny wounds in the skin, the body’s immune system goes into overdrive, sending special blood cells called macrophages to the site of the tattoo to engulf the foreign ink particles. 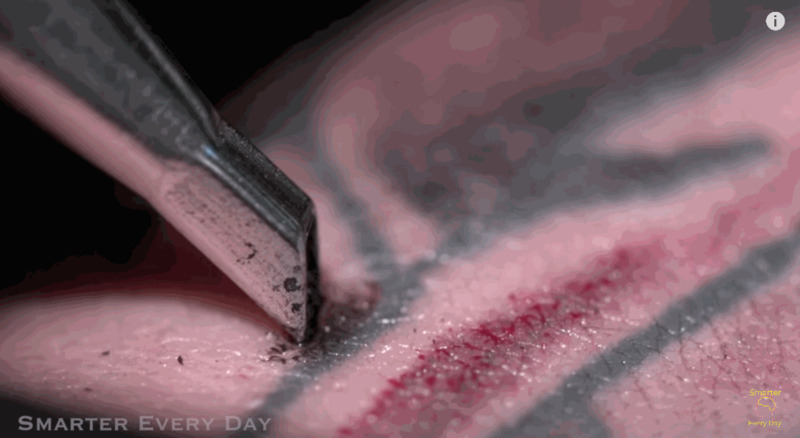 This is part of the body’s attempt to clean up and it’s also the reason tattoos fade over time, but it also plays a part in making tattoos permanent. Once a macrophage consume an ink particle, it goes back through the lymphatic highway and brings the consumed particles to the liver for excretion. But other microphages don’t make it back to the lymph nodes. Instead, these blood cells stay in the dermis, and the ink particles they have eaten continue to remain visible. If this gave you inspiration to get inked, choose carefully. 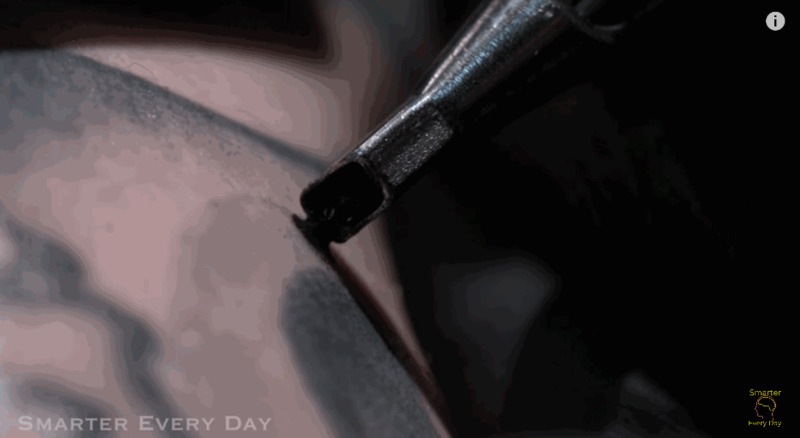 Removing tattoos isn’t as easy as you may have heard.